Obama did not say much but listened. At the time, Hagel considered Obama a “loner,” inclined to keep a distance and his own counsel. But Hagel’s comments help explain why Obama nominated his former Senate colleague to be his next secretary of defense. The two share similar views and philosophies as the Obama administration attempts to define the role of the United States in the transition to a post-superpower world. Bob Woodward is an associate editor of The Post. His latest book is “The Price of Politics.” Evelyn M. Duffy contributed to this column. The above column has led to other media picking up this story, too. This one below from Business Insider thanks to Lance. Hagel warned the president about getting “bogged down” in Afghanistan and voiced concern over the deployment of 51,000 additional troops sent at the time to fight in the war. Hagel is likely referring to Donald Rumsfeld’s battle for control of the military, both against generals and the president. The perception was that Bush was less the decider, and more a person to be advised of decisions already made. The common word on the street nowadays is that the U.S. needs to de-escalate its overseas military obligations, focusing more on a lighter “footprint” approach to global counterinsurgency. The assessment falls in line with the president’s Defense Secretary nomination. 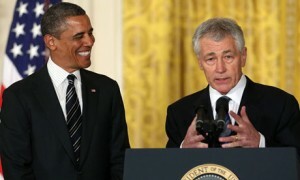 It looks like Hagel’s nomination could be approved and if so, he and the president could share deeply common views. 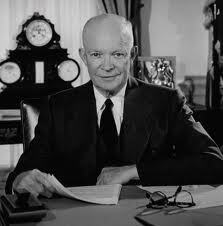 NOTE BY NANCY: President Eisenhower was a former military general and a Republican. Progress toward these noble goals is persistently threatened by the conflict now engulfing the world. 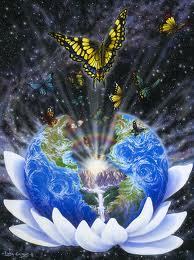 It commands our whole attention, absorbs our very beings. We face a hostile ideology — global in scope, atheistic in character, ruthless in purpose, and insidious in method. Unhappily the danger it poses promises to be of indefinite duration. To meet it successfully, there is called for, not so much the emotional and transitory sacrifices of crisis, but rather those which enable us to carry forward steadily, surely, and without complaint the burdens of a prolonged and complex struggle — with liberty the stake. Only thus shall we remain, despite every provocation, on our charted course toward permanent peace and human betterment. Filed under: Barack Obama, Chuck Hagel, Dwight Eisenhower, Obama, Peace, World Peace |	Comments Off on CREATING WORLD PEACE FOR OUR NEW EARTH – VALUABLE INFORMATION WE ALL NEED TO KNOW?